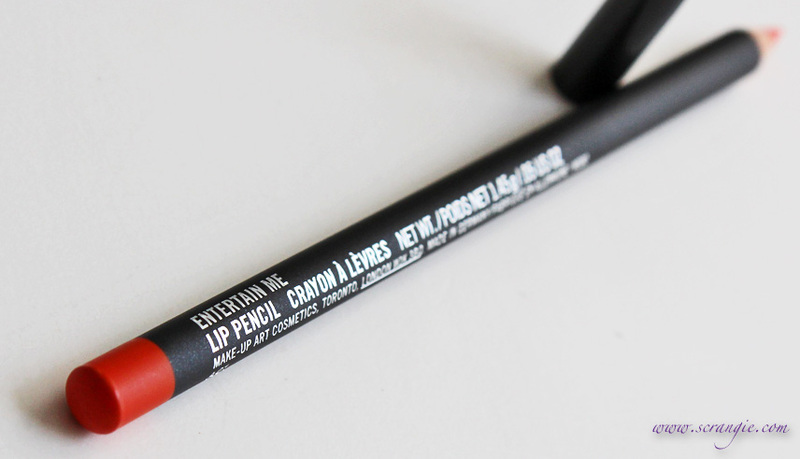 Finally, a bright orange lip liner! I love wearing orange lips, but some of my favorite colors need to be worn with a lip liner and I've never found a good orange to match them. This is perfect, especially with MAC Morange lipstick. The Beth Ditto collection lip pencils are color coordinated with the Beth Ditto collection Pro Longwear Lipcremes. Sometimes it's hard to find lip liner that matches bright lipstick colors like Dear Diary or Entertain Me, so having them released in the same collection is nice. Smooth application. Formula wasn't too dry and it didn't skip or tug. The texture wasn't hard or painful to apply. Wears very well and keeps lipstick and gloss from migrating. Can be worn alone as a lip color if you put balm or gloss on top (I'm wearing it with lip balm the photo above). It's a wooden pencil that needs to be sharpened. A twist-up pencil might be more fragile, but it would also be more convenient since you wouldn't need to carry a sharpener. It's a pretty color and it does its job well. It's also the only bright orange lip pencil I own and I'm pretty sure it's the only one I've ever seen. I have a lot of orange lipsticks and lipglosses, so this is a really useful shade of liner to have on hand. The only downside is that this shade is limited edition, so I won't be able to get another one when it runs out. The MAC/Beth Ditto Collection Lip Pencils are $14 for 1.45 g / 0.05 oz. Embrace Me and Entertain Me are limited edition. Looks great! I really need to get my hands on a good orange lipstick first. Would MAC Morange be good? Prestige Poppy lipliner perfectly matches my MAC Lady Danger lipstick, though that's more red-orange than straight orange. Prestige Poppy matches my MAC Lady Danger lipstick perfectly, though that's maybe more of a red-orange than a straight orange. 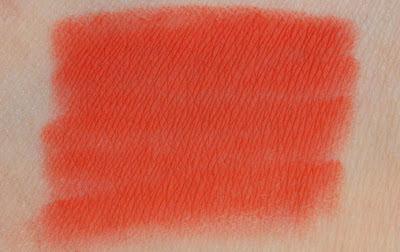 I just recently got Lady Danger and I'm in love with it- going to have to get the liner that matches now! Thank you for the tip! 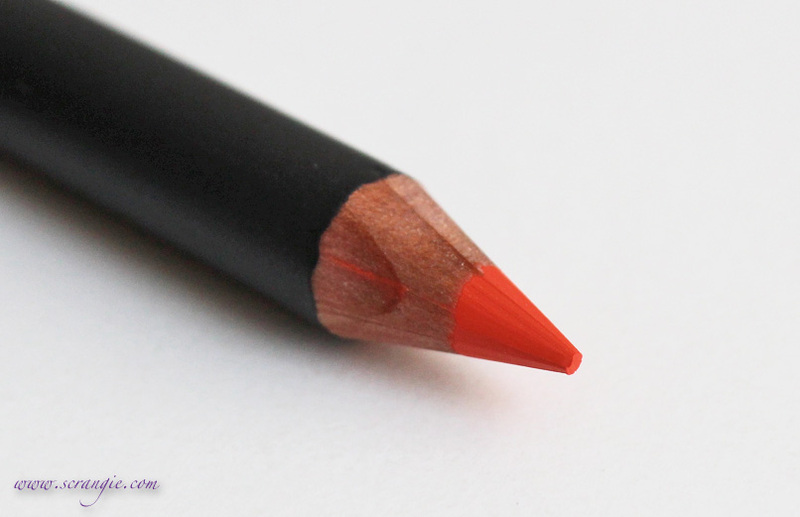 I've been wearing this liner with MAC Knockout Lip Glass layered over it - it's awesome and so bright! Wow! That's pretty enough to just wear all on its own. That looks so good on you. I'm not so keen on the traditional pencil either, I seem to break the ends a lot when I sharpen or leave splintery bits. Maybe my sharpener is the problem. I wonder though if there is actually more waste this way, I never have used a lip or eyeliner to the end (shameful :)), does the twist up sort deliver all the product? I'm currently going through an orange phase, so this is perfect! Too bad it's limited edition. WHat's been working for me so far is lining the outside of my lips with Urban Decay 24/7 lip liner in Ozone. Prevents feathering pretty well. 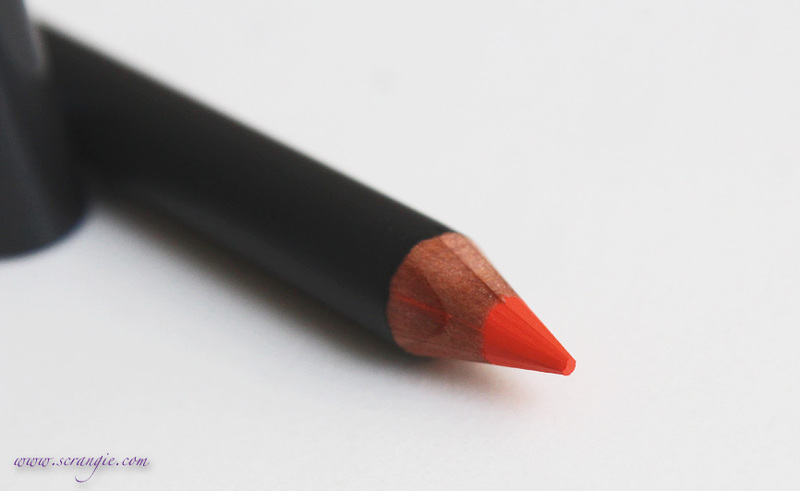 When I recently bought MAC Morange, the assistant offered me one of two orange lip liners to use with it. I got one called "Lasting Sensation". The other was "What a Blast!". I think the latter is part of the permanent line.